Tiaras & Prozac: What's in a bump? If you're pregnant now, have been in the past or really want to be you'll not have escaped the bump mafia. 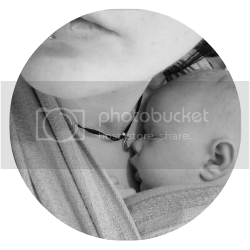 Once upon a time, pregnant woman took candid photos of themselves throughout their pregnancy purely for documentary purposes for their own memories and perhaps one day to show their children. Now however, in the era of camera phones and a million and one apps, everyone is an 'artiste', it's getting competitive. They're now statements. Not only is the mum chic and cool, now her bump is too. If you Google pregnant bellies or bumps you'll be assaulted with more images then you can ever process ranging from the edgy and arty to the quirky and kitsch. Perfectly posed, thought out locations, painstakingly edited before these pseudo-professional pictures are presented to the internet. To be judged. Because that's what happens. That is the competition. Their bump is better than yours. As if woman don't torture themselves enough with their bodies and self worth, they no longer get a hiatus in pregnancy. Is your bump small enough? big enough? round enough? perky enough? neat enough? cute enough? Are you blooming? Are you a hot pregnant 'mama'? a cute one? a quirky one? an elegant one? It's almost like one of those vile rating sites where people brazenly submit their orange faced, duck lipped, bathroom posed pictures to be 'hot or not'. I don't routinely post 'bump pictures' to the blog. Mine aren't arty. They're taken when I remember in the dirty mirror in my junk pile of a bedroom. I'm not photogenic at the best of times, for every 100 pictures taken I'll share one or two. Yet I do take bump pics. For me. To see my baby grow. To document and immortalise this; my last pregnancy. My previous pregnancies only had the odd bump shot now and then. Yet as beautiful as this time is, I find it incredibly hard to share them. I'm not cute, quirky or arty. I'm fat. Not pregnant fat, just fat. That's the thing when you're 'fluffy', your flubber swallows your pregnancy. You don't get this perfect neat little bump. It takes ages to 'show' and even then the chances are only you know the bump from the flab. You no longer have to breath in because if you walk around with your hand on your belly enough you're subliminally telling people, I'm not just fat, honest. I'm pregnant too. If you place your hand in the right place, you can try and emphasise your belly to make it appear more bump than flump, to create an illusion. I'm not even one of those gorgeous, confident, sassy larger woman. I'm just fat. I have the frame of someone who should be many many many stones lighter and then a lot of flubber. I don't qualify as fluffy or plus sized i'm just overweight and fat. So it's hard, when you have such a loathing for your own body to put yourself out there. It's hard to be so incredibly happy with your pregnancy yet too ashamed of your body to share it. It's hard and it's quintessentially sad. If I tell you i'm pregnant you'll probably assume I'm further on than I am. It's not that my bump is large, it's that my belly is large yet as soon as the pregnant status is confirmed the eye tries to see a bump, the belly becomes the bump. I always promised myself i'd lose enough weight so that i'd have at least one pregnancy when I looked normal so that my bump would be obvious and neat (like everyone elses) when I wouldn't have to be ashamed. When I could show it off or perhaps show case it is more appropriate. When I didn't feel the need to telepathically communicate to everyone who saw me that I'm not just fat, I'm pregnant too. Well this is my last pregnancy and like the other pregnancies, I'm starting out overweight. It doesn't help that pregnancy gives me a horrifically huge appetite. I never get that 'weeks on end of sickness'. I just eat. I overeat. You tell yourself it doesn't matter. You're already fat. At least you can get fatter with the excuse 'I shouldn't really diet when pregnant' You try not to think about the weight you already had to lose pre-pregnancy and all the additional weight you're putting on throughout pregnancy. Extra weight because y'know, you can't stop eating. You're eating all the pies (and chocolate, cake, burgers). So I'll never be a part of the bump mafia. I never even entered the competition. But this is my bump. My journey. Because whilst I may not be, pregnancy is. Beautiful. My bump may not be pretty but it is beautiful, because it houses Moomin and that is beautiful. This journey is amazing. I want to be able to look back on it and see it's beauty. 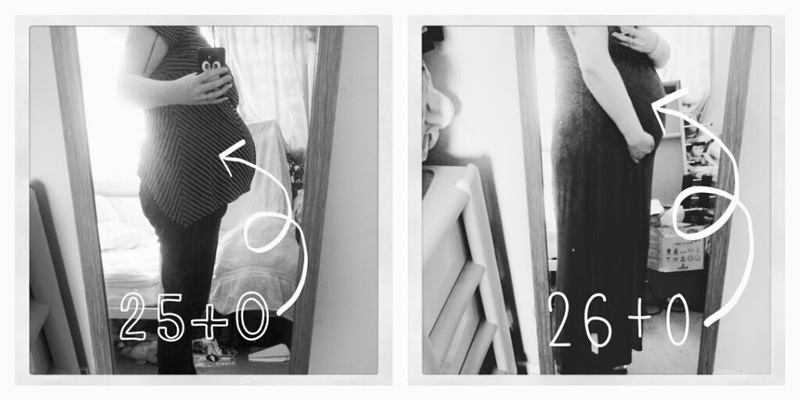 If only for these nine precious months, I want to not be ashamed of my body. Because it may not be pretty but, right now, it's growing another human and that, is pretty damn amazing. One day I want to show her this journey; to show her that because of her, I was something beautiful. That I refused to be ashamed. ⋅ Labels: beauty, bump pictures, bumps, fluffy, journey, plus sized, pregnancy, pregnant bellies, pregnant. Thank you that's very kind of you although I genuinely wasn't trying to be purposefully negative, just realistic lol. It's amazing what difference the angle makes in a photo. Maybe being pregnant evens me out a bit *L*. In all honesty I was 2-3 stone overweight before pregnancy and by 12 weeks has gained over another stone lol. I just looked like a bus! 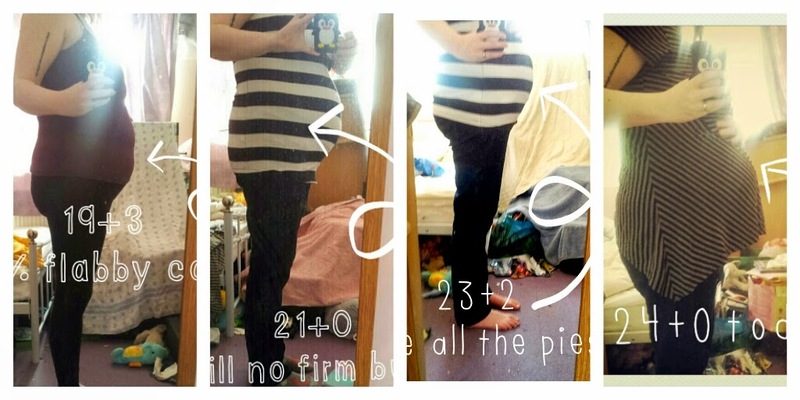 I guess you would count me in the bump mafia since I try to document my bump progress on my blog on a weekly basis. I don’t do it to show off, or compete with other bloggers; rather I use is as a fantastic way to record my pregnancy process and chart little milestones I would otherwise have forgotten about months down the line. Some close friends I don’t see for months at a time, so they, in particular, love the updates. I’m obsessed with other people’s bumps; I constantly search Instagram and Pinterest for pictures as I think it is amazing that other women are going through exactly the same thing as me right now. I certainly don’t judge anyone on their bump. Everyone’s bump is unique to them, just like each person is unique and their growing baby will be unique. Oh don’t get me wrong, when I see some bloggers who look like models with not an inch of weight gain on their body except for the perfect little bump, I do feel a bit jealous – for a moment. I actually find it difficult to post some bump pictures as I feel a bit of a frump putting on two dress sizes already which is not just baby weight; I know I am eating much more than I actually need. I don’t care as I feel beautiful – my Husband tells me every day and his opinion is the one I care about. Your bump is gorgeous and you should be proud of it. I will continue to post bump photos as long as people keep telling me they are enjoying this journey with me. Oh I can really relate to this. Its so so hard to feeling beautiful or anything else when changes to your body are so out of your control. I take bump photos for my own records and yes I share them on my blog, but only the ones I like and when they have been edited. Not air brushed, but you know what I mean. I too am at that stage where people keep looking at my tummy as I am normally slim and yet I have no bump in certain clothes so they are wondering if I've put on weight. After years of struggling with eating disorders etc this is so hard for me. To hell with what people think. I really wish I could do that! !